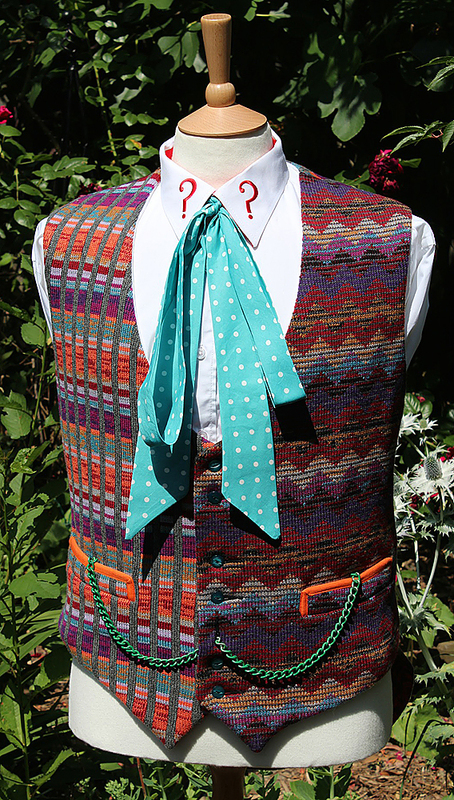 Last week I showed you the least batch of fabrics to arrive, ready for use on my Ultimate Six Frock Coat. One of those fabrics was the yellow dyed pillow ticking, a material I had sourced several years ago to make my Six Trousers. I thought it a good time to look back on how I prepared that fabric then, and will need to again when the occasion arises. 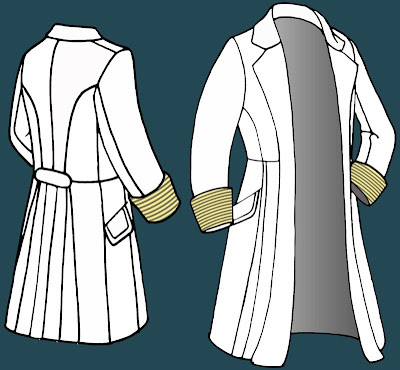 Of all the fabrics on the Six Frock Coat, this has to rate as one of the easiest to accurately replicate, despite being nearly thirty years later. 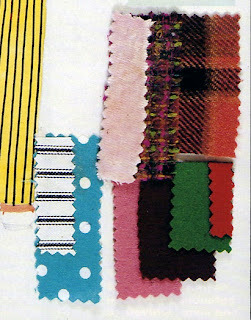 The fabric is a very old-fashioned, traditional material available in the UK for what seems like an eternity. 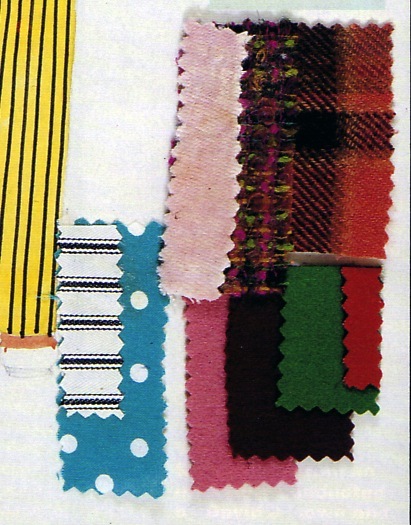 In the 1980s it would have been found at every well stocked fabric store. Personally I can remember staying over at my grand mother’s house and sleeping in a bed where the sealed feather pillow case was made from a thick canvas like fabric in a striped weave. Looking back it was pillow ticking in authentic use. The fabric only comes in white (or a natural shade) with the stripes traditionally in black, though I have seen some version with them in navy blue. 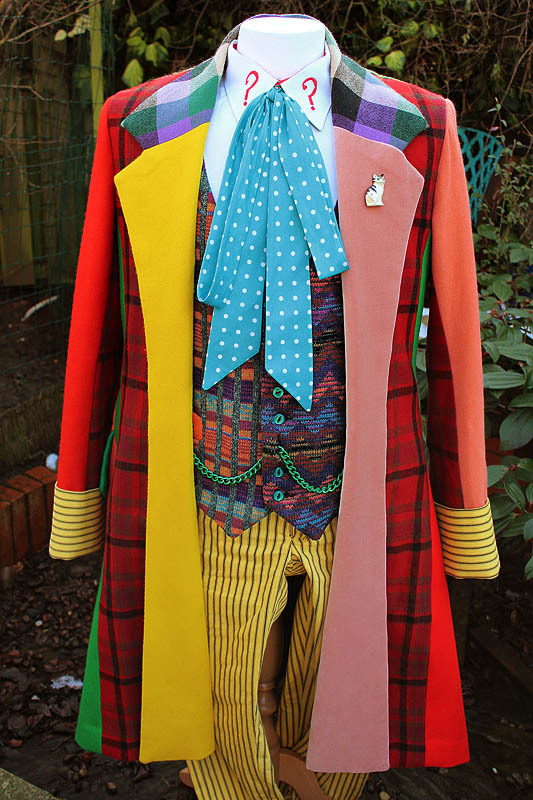 The fabric does not come in yellow as seen in Doctor Who, as it was dyed before use. 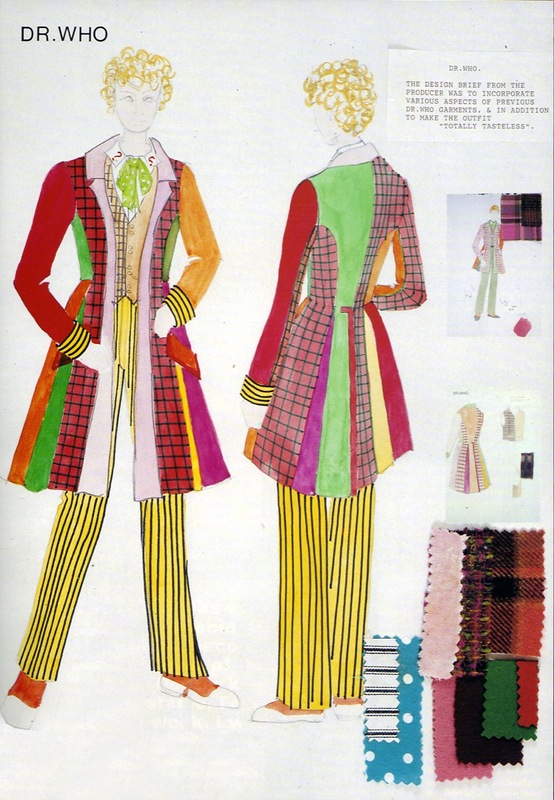 If you look closely at the fabric samples on the original costume design, you can see the swatch of ticking is the same black and white version, revealing it was sourced in that colour, and dyed to the yellow colour. When I was in early stage planning for the Ultimate Tennant Suit, I made myself a pair of Six trousers so I can get some understanding of how trousers are made. Here is how I dyed my fabric back then. I found some colourfast Dylon fabric dye in Sunflower Yellow (which sounds nice) at a local wool shop (see left). This can be used in a washing machine at 40degrees. I also need to buy 1lb of salt, which is used to open the pores of the fabric and make the dye fast. This is one of the occasions I think reading the instructions on the packet would be wise (being a man I don’t often do that). First I need to wash the fabric thoroughly, to make sure there is no grease or dressing on the material, this will resist the dye and make it come out patchy. I then empty the entire packet of dye into the drum of the washing machine, add 1lb of table salt, then the still wet fabric (see right). I then have to wait a nerve-racking hour for the machine and dye to do its magic. Once the hour is up it’s time to see what‘s happened, and I am pleasently surprised to find it has worked a total treat. My white and black ticking is now yellow and black, and the dye has not tainted the black stripes as I secretly thought it might (see left). 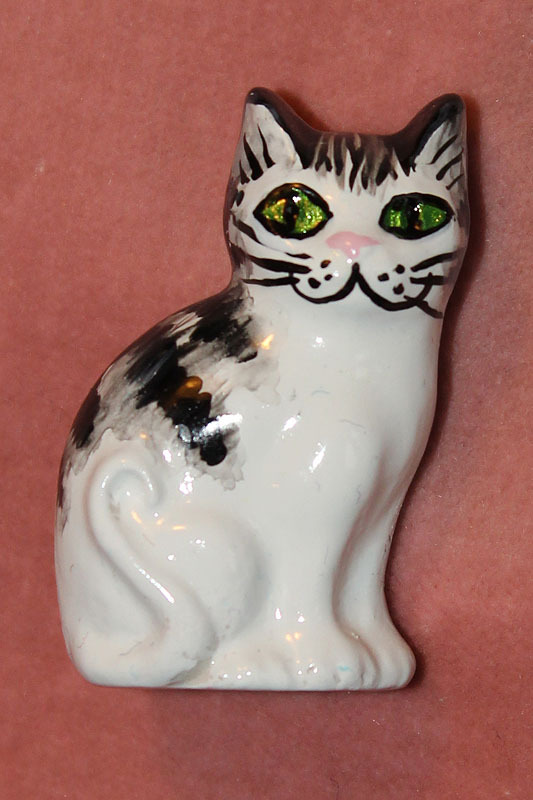 I just then need to leave it out to dry then thoroughly press it to make it pristine and ready for use (see below). Once the fabric was dyed and pressed it was ready for use. I’ve since had the chance to put my version alongside the screen used coat, and apart from the dirt on the real thing, the colours and weave match up perfectly. I’m very happy with the result, and I’m good to go! Achieving the colour was nowhere near as scary or difficult as I thought. 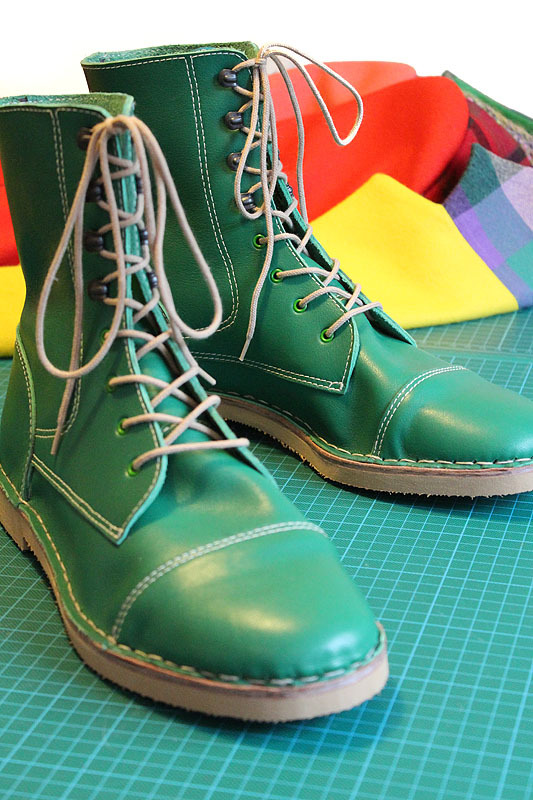 I would consider doing this again if finding the right pattern/colourway was a problem. If a white colourway was available as an alternative, dye it to the right colour is now very much an option!